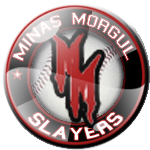 The Minas Morgul Slayers season wasn’t short of drama or intrigue, as the club has clinched a wild card spot in the season’s dying days. The Slayers have gotten to the postseason on the strength of a season that has seen them compile a 84-78 record. The season is finished for Tobi Headstrong of the Minas Morgul Slayers. The club announced today that he will forego the rest of the year because of injury. The Slayers starting pitcher suffered a torn rotator cuff while throwing a pitch in a recent game against the Dagorlad Disaster. Team doctors said it would take at least 10 months to heal. In 5 starts this season Headstrong has gathered no wins while suffering 3 losses. He has pitched 31.1 innings, allowed 24 hits, struck out 26 and has a 3.45 ERA. When Minas Morgul reliever James Pennypacker was taken out of the game, the crowd at the Slayers-Disaster game went silent as they could tell that it was a serious injury. That was confirmed today by doctors when they revealed that Pennypacker had sustained a partially torn ulnar collateral ligament and will be out for about 7 months. A blow for Rowan Hill today — team doctors confirmed he will miss 6-7 months with shoulder inflammation. Hill suffered the injury throwing a pitch. Although officials from the Minas Morgul Slayers are confident he’ll make a full recovery, doubts will persist about Hill’s ability to return fully fit with an injury of this nature. Rumors of a deal between James Pennypacker and Minas Morgul finally bore fruit today as the two sides faced a packed press corps. Slayers officials looked very pleased as they outlined the terms of the new deal. Pennypacker will earn $2,933,333 per year for 3 years. He is expected to be a solid addition to his new club. During his career Pennypacker has appeared in 243 games, logging 507.2 innings with 419 strikeouts. He has carved out a 3.42 ERA with 32 wins and 20 losses and posted 8 saves. The Slayers today announced that they have come to terms with Nazbag the Story-teller, a 34-year-old shortstop they’ve been scouting for a while. the Story-teller will earn $10,666,666 a year over 3 years and is expected to play a key role with the club. In a career spanning 1550 games, the Story-teller has batted .295 with 1691 hits, 114 home runs, 746 RBIs, and 911 runs scored. Sirbag Nosebasher has been released as the Minas Morgul Slayers manager. Slayers officials said it is time to make a change and get the club heading in a different direction. The dismissed skipper was philosophical about his fate. BNN reports that the Minas Morgul Slayers have just agreed with reliever Ela Cunningham on a contract extension. The total value is $22,000,000 for 4 years, which equals $5,500,000 per season. Since breaking into the league, Cunningham has compiled a 61-74 mark, has pitched in 220 games and has been credited with 1 save and a 4.22 ERA. It was quite a row yesterday at Sylvan Cove. The Slayers Tognar Ringworker and the Raiders Sabino Fadrielindë backed up their angry words with a few shoves and a few swings. Then both dugouts raced onto the field and got involved in the fracas. When it was over, only Ringworker and Fadrielindë were ejected. As expected they were informed by the league office that they would each have to serve 9-game suspensions for their inappropriate actions. Ringworker is swinging at a .233 pace on the year with 21 home runs, 67 RBIs and 62 runs scored. He has played in 136 games. Running the numbers on Fadrielindë for the year, he has made 76 relief appearances, recorded no saves and compiled a 4-4 won-lost mark with a 3.19 ERA. In pitching 62 innings, he has totaled 73 strikeouts and 31 walks. The news is bad in Minas Morgul. The Slayers have lost the services of second baseman Lilith *Blackbark for the rest of the season due to a torn meniscus. *Blackbark was injured in a recent game with the Dol Guldur Dragons while running the bases and is expected to miss 4 months. So far this season, *Blackbark has recorded a .297 batting average with 43 hits, no home runs, 14 RBIs, 15 runs scored and a .411 OBP.